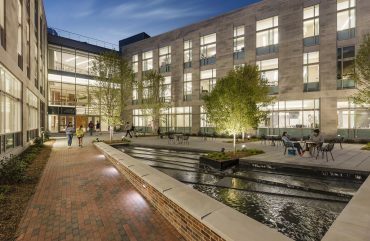 The complex transformation of Firestone Library injects new life into one of Princeton’s most iconic buildings, and creates an open and flexible laboratory designed to keep pace with future demands in humanities research. 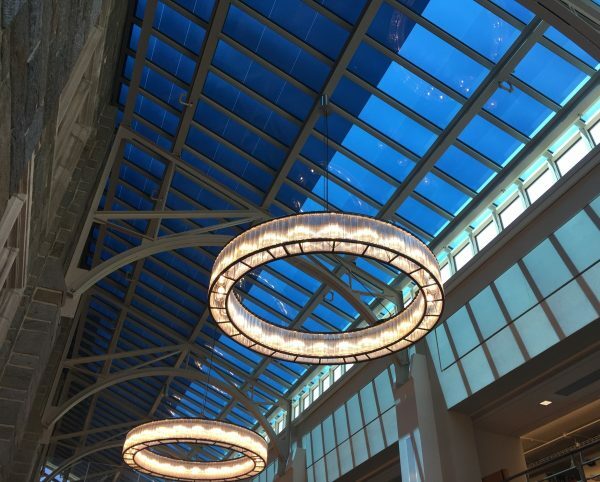 The decade-long renovation was broken into six unique phases, which allowed the Library to remain open during construction. 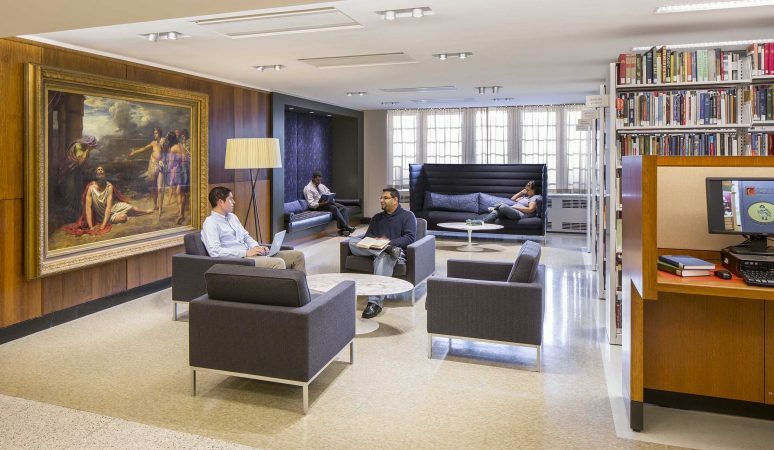 The reorganization of interior collections streamlines wayfinding, creating additional seating and study areas, and entices visitors to rediscover the building’s awe-inspiring spaces. 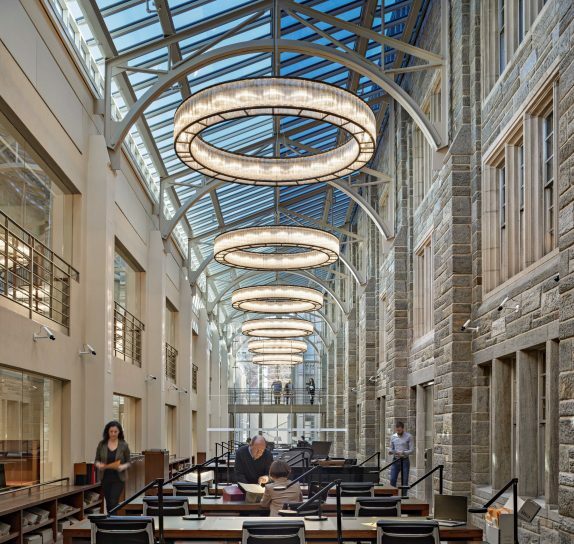 Firestone Library was the first large American library constructed after World War II, and is often considered the academic heart of Princeton University. 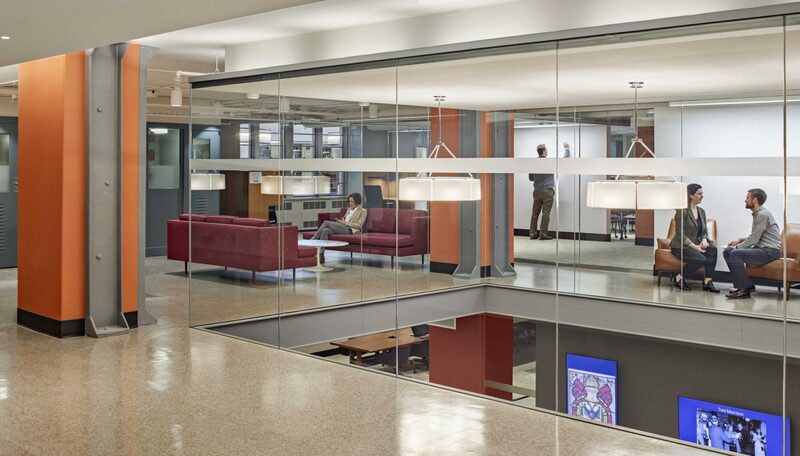 The renovation upgrades building systems, preserves high-value collections, and improves circulation and functionality throughout the mid-century building and its several additions. 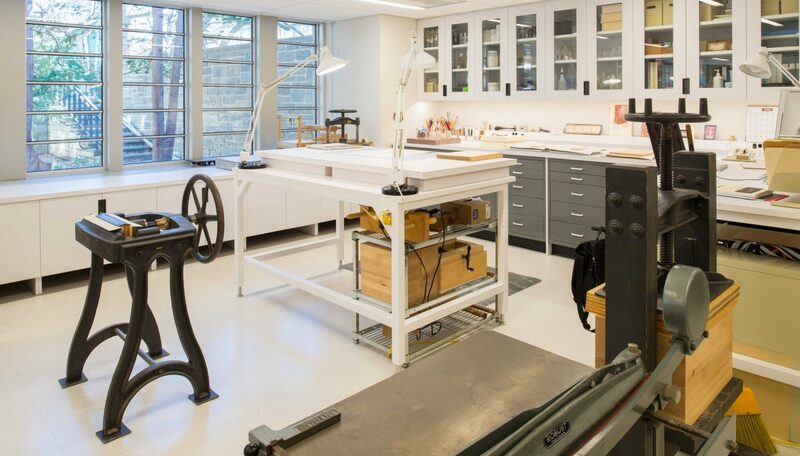 Museum-quality public exhibition spaces invite the community to experience Princeton's unique and valuable collections. 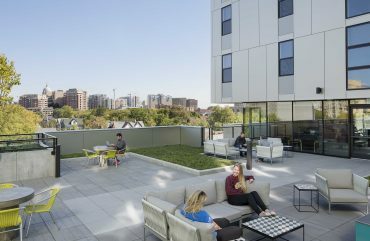 Shepley Bulfinch led the complex programming and renovation in association with design partner Frederick Fisher and Partners. The project balances both openness and security. 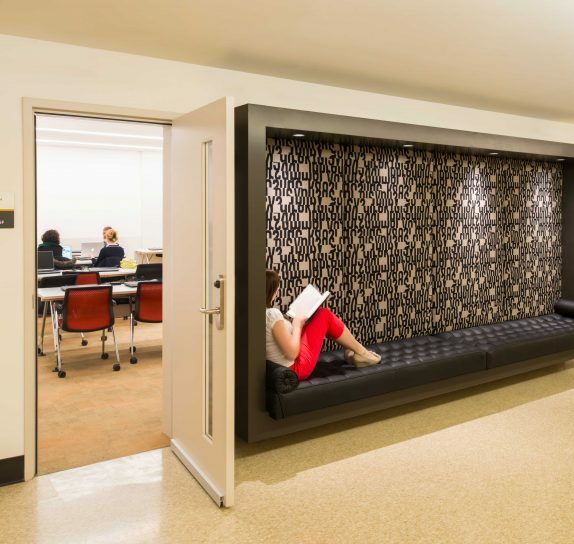 Visitor seating and open carrel spaces create better access to general collections and natural light. 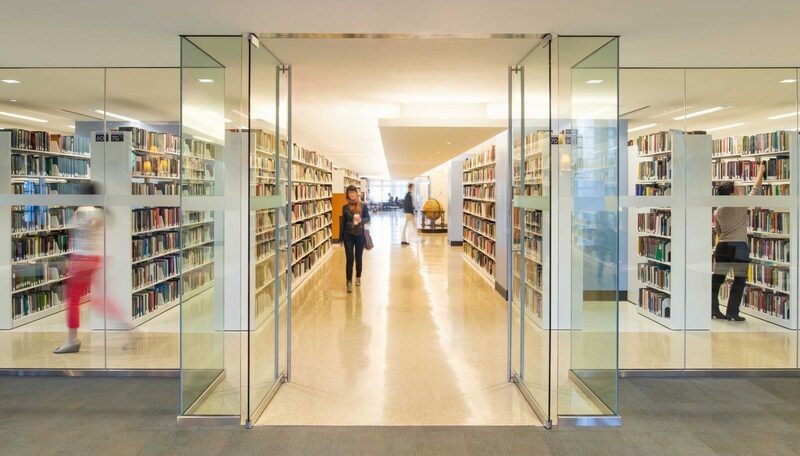 The Library’s special collections are relocated to climate-controlled vaults below the main floor. A new wall hanging, woven by designer John Nava, replaces a damaged medieval tapestry. The work of art includes images and texts from Firestone’s special collections that speak to the Library’s DNA. 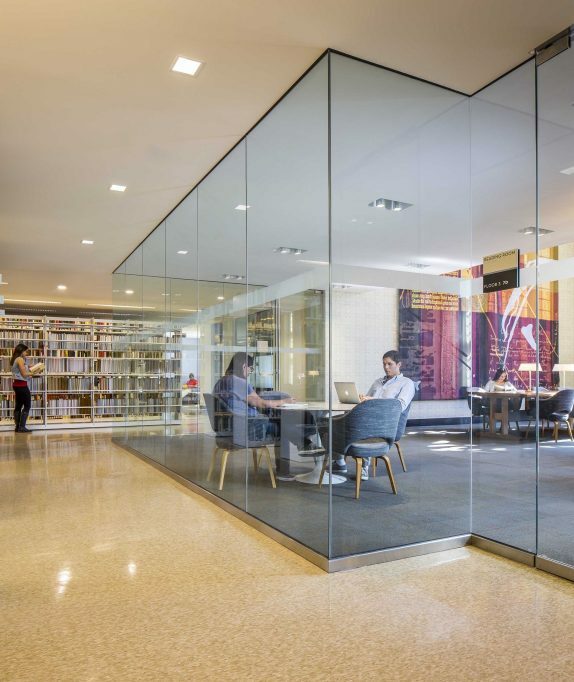 The special collections reading room features photometrically controlled glass, which adjusts automatically to daylight. 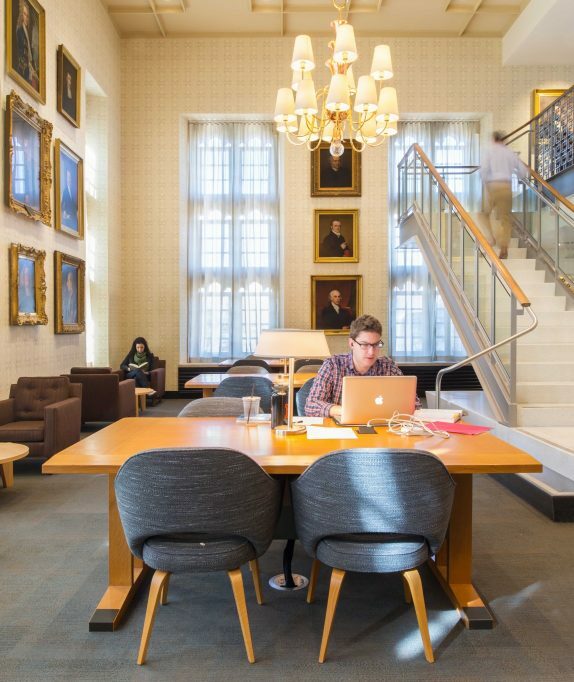 The reading room provides the ideal setting for scholars from all over the world to experience Princeton's collection of rare editions.